Signature Fitness – The goal is to keep the goal the goal! 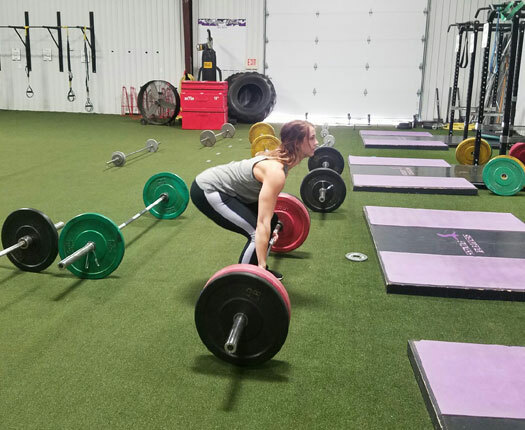 Signature Fitness is a group training facility located in McAlester, OK. We offer results-oriented fitness programs geared toward improving your structure and overall health. We aim to help individuals enhance their well-being and boost their self-esteem by making them realize the importance of health and fitness. To achieve this, we provide training programs that are tailored to our members’ desired outcome. Whether you’re a deconditioned or an elite athlete, you are sure to find the exercise plan that suits your current physical state and at the same time, helps you obtain the results you want to achieve. We work hard to create training programs that will be highly beneficial to our clients in Oklahoma. This is why we are able to attain better outcomes from our exercise plans compared to other fitness lessons available in the area. All of our training programs are diligently planned and carefully implemented, and our members get to experience that distinction every day. We continuously strive to improve ourselves in making effective training programs. With us, having great workout sessions that deliver exceptional results is a guarantee. Everything we do begins and ends with our members. When you choose us, trust that we will do what it takes to help you reach and surpass your goals in record time. In addition, our friendly, knowledgeable, and energetic staff is committed to giving you the best service possible. More than being your fitness instructors, we are your accountability partners who are committed to helping you maintain a healthy lifestyle. This is why our members look forward to working out in our gym every day! Having a strong mind, body, and soul is important if you want to enjoy life in its fullness. Upon arriving at this realization, Valarie decided to establish Signature Fitness. Our gym serves as an avenue where Valarie can promote the benefits of strength and conditioning, and how this can help an individual improve his or her well-being. Signature Fitness isn’t your everyday commercial gym. You won’t see rows of cardio equipment in our facility. Instead, we have metabolic conditioning group sessions. This is our version of cardio workout, and this type of training program enables you to burn your calorie, get your metabolism revving, and give you the cardiovascular benefits you’re looking for. According to research, interval cardio training is an effective way to lose fat. We’ve taken this type of fitness program to another level by incorporating exercises in multiple planes of motion into it using various kinds of equipment, such as the TRX system, kettlebells, ropes, sandbags, and medicine balls. For your convenience, our facility is equipped with shower and change rooms. We also have Protein Pantry bars available should you want to have a bite after exercising.